Jasmine Hearn and Jessica Marino team up for us. Friendship is often the only reason needed to do or create something. So it is for local dancers and choreographers Jasmine Hearn and Jessica Marino and their program us., Oct. 30-31 at Wood Street Galleries. Part of the Pittsburgh Cultural Trust’s new Wood Street Galleries Movement Series, us. is an alternative to Halloween’s standard ghost- and goblin-themed fare. The two friends offer a 45-minute program experimenting with the sensation of pleasure found in dancing together. Hearn is a Point Park University graduate from Houston who performs as a solo artist and with troupes in New York and Philadelphia. 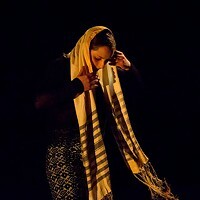 Fellow Point Park grad Marino performs regularly with Pittsburgh’s Shana Simmons Dance and Staycee Pearl Dance Project. The two have been working with Slippery Rock University dance professor Jennifer Keller on learning “contact improvisation,” a movement form of postmodern dance developed by Steve Paxton in the 1970s. The new show incorporates that style and others into one long-running duet and two solos. “It’s a collage of choreography formatted like a TV show, where the duet is the show and the solos are like commercials during it,” says Hearn. Set to a varied musical soundscape including Hearn’s own singing, us.’s two solos will have their own distinct characters. Marino says that hers is inspired by contrasting sensations such as “being wound up tight” and “the release of energy.” Hearn says her solo will echo the duet’s theme and might involve lots and lots of glitter. 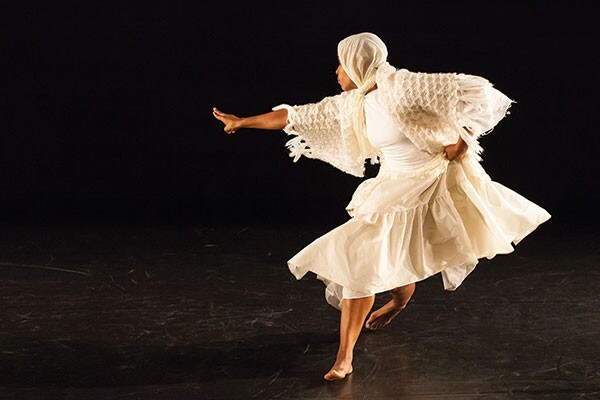 Another visual element occupying the dancers’ third-floor performance space at Wood Street is a photographic exhibit by Indian photographer Nandini Valli Muthiah. The exhibit, which runs through Dec. 31, includes photo representations of Krishna in contemporary settings, such as seated at the foot of a luxury-hotel bed. The exhibit is part of the Cultural Trust’s India in Focus festival, and Hearn says that she and Marino will play off it, too, adding another layer to the fabric of us.